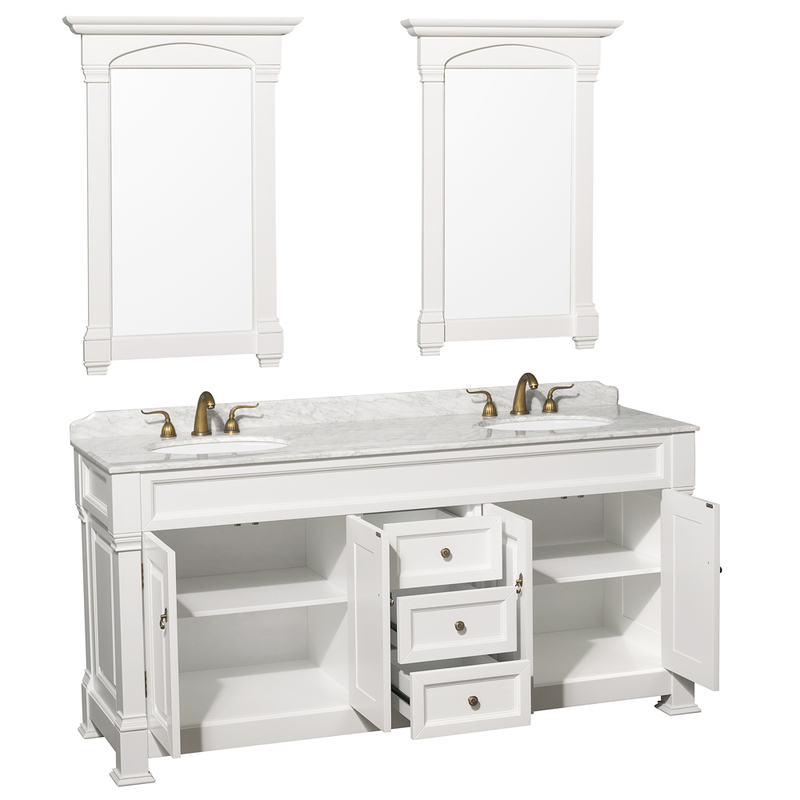 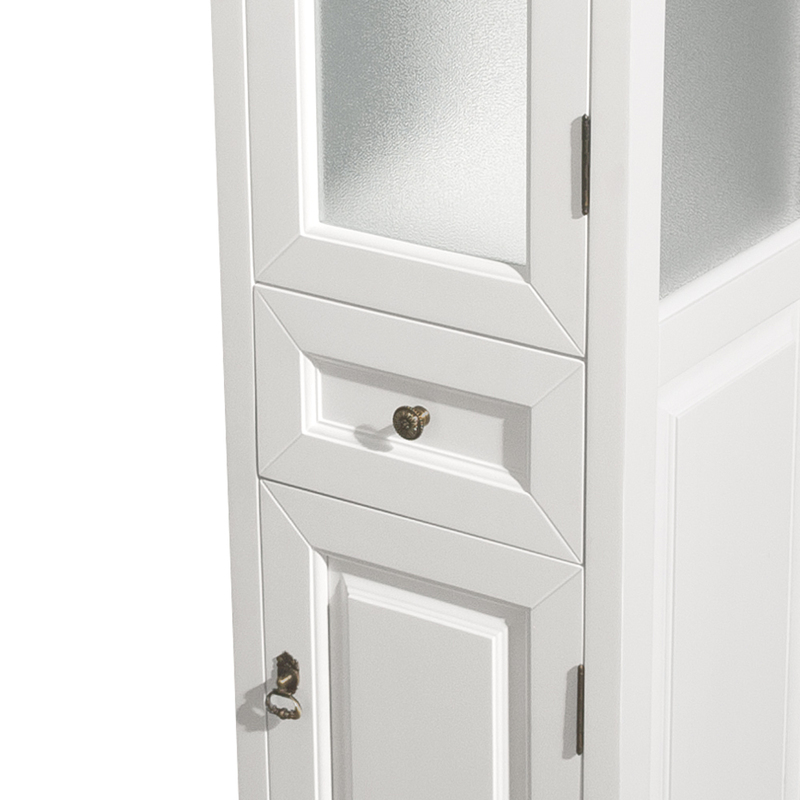 Bright White finish, matched with an Ivory or Carrera White marble top gives the 72" Andover Double Vanity an attractive appeal that works perfect for creating a traditional look for your bathroom. 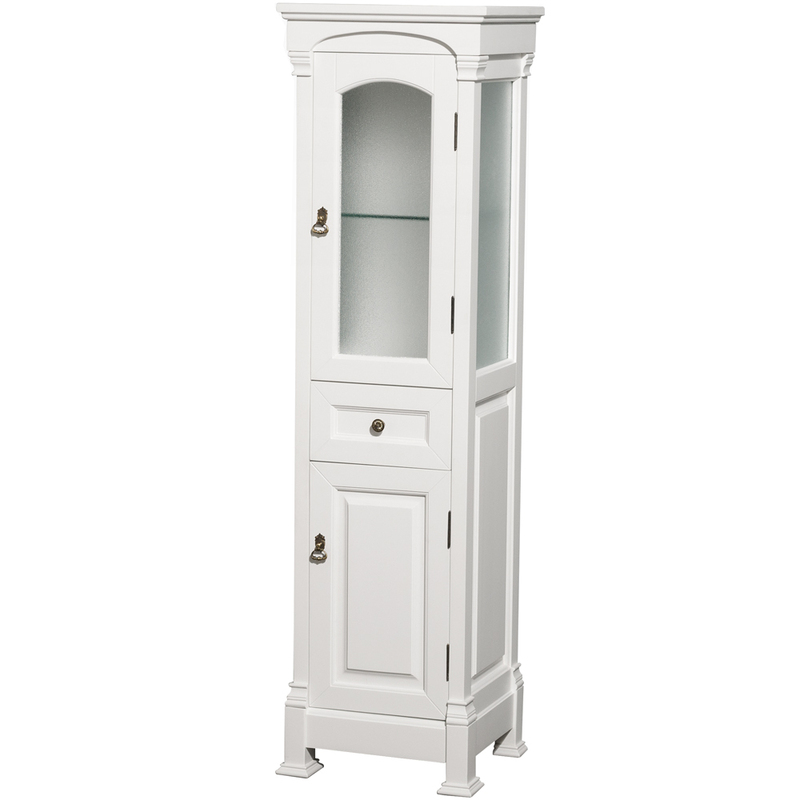 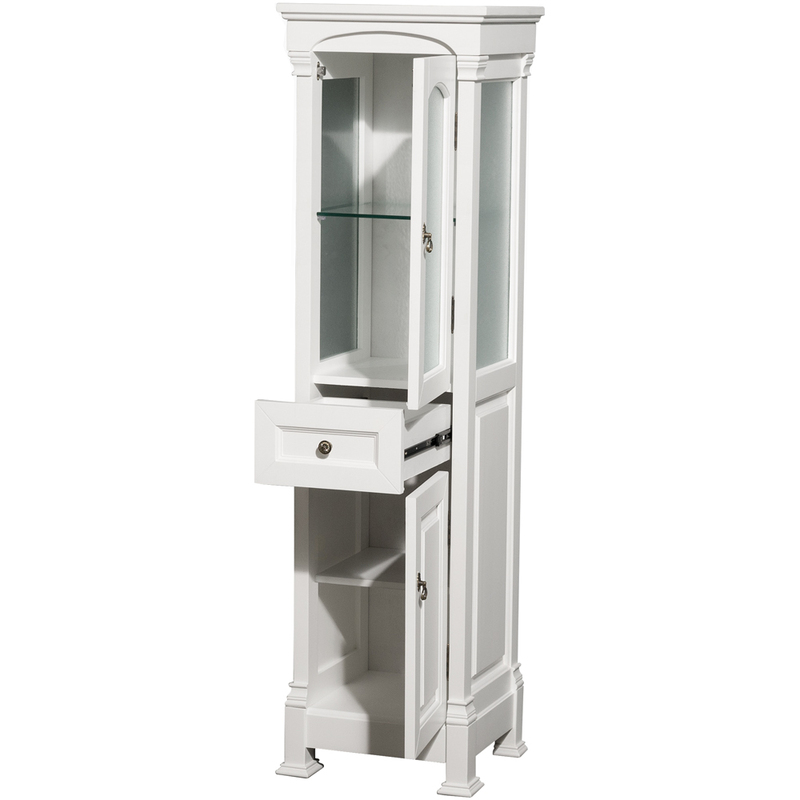 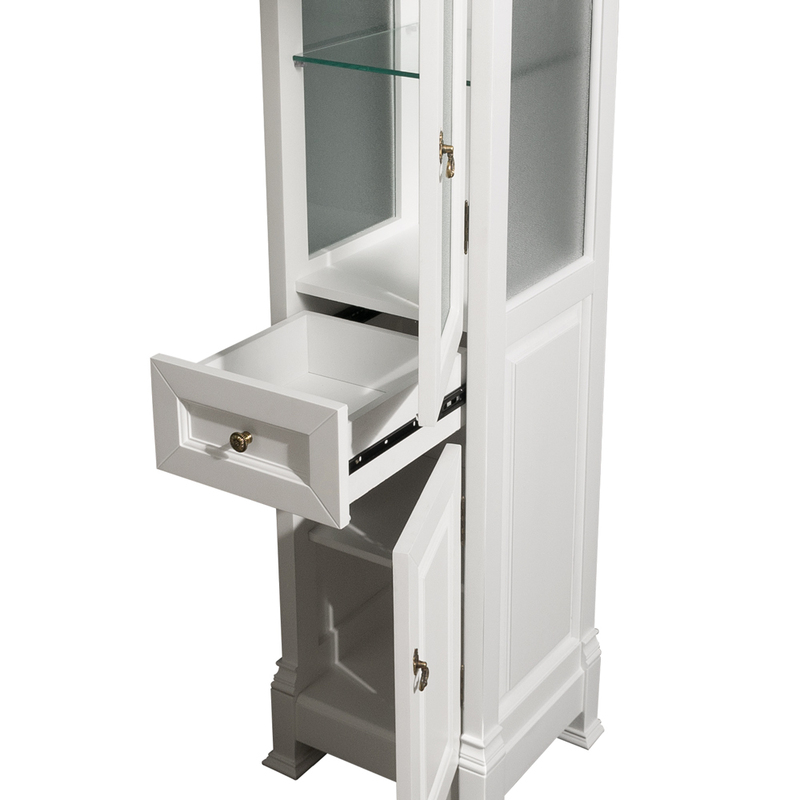 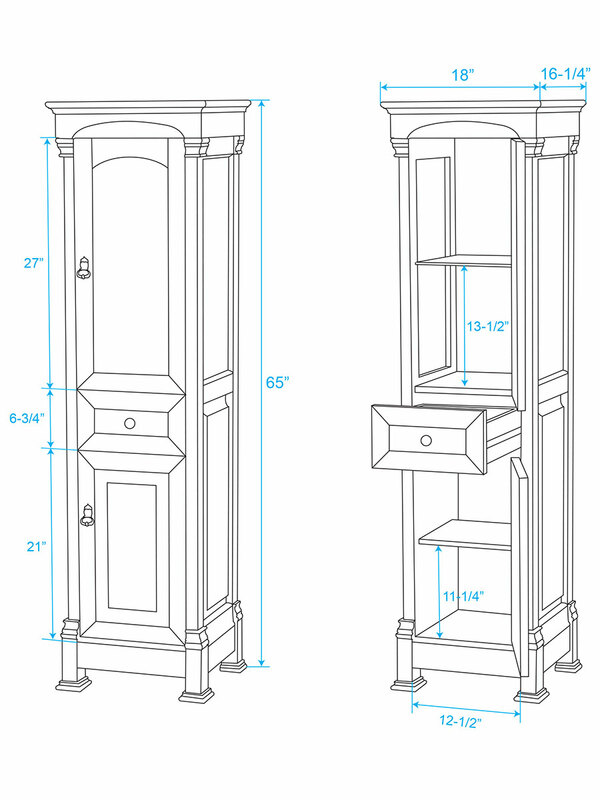 The cabinet is constructed from solid oak and offers three drawers and two double-door cabinets of storage room. 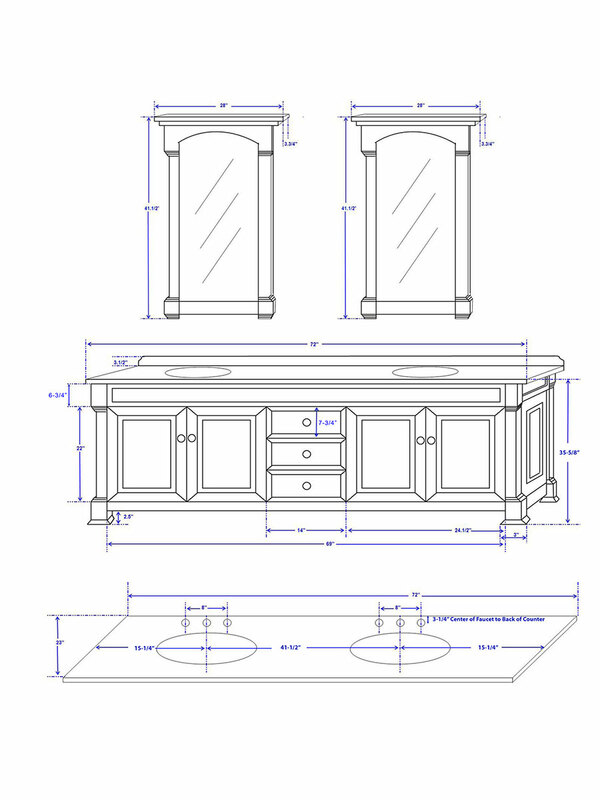 The top comes pre-drilled with two sets of three faucet holes in a 8" spread. 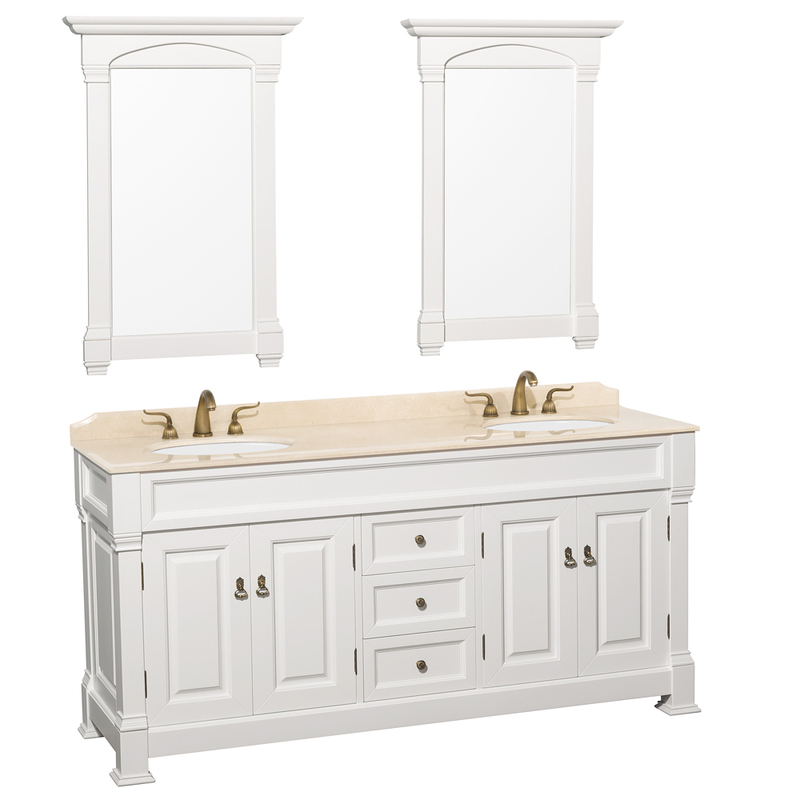 Matching mirrors also come with this vanity.